The best type of oil paint are self made paints grinded by ourselves. In this case we can control the content of our paints avoiding unnecessary fillers, and we can choose the oil we would like to add as a binder. 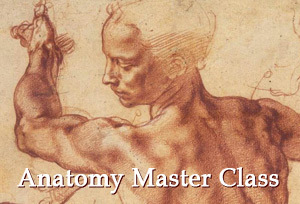 I will show you the process of making your own paints in an additional special course. But for now, let’s not over-complicate our learning process and let’s start with ready-made paints you can buy at any art supply shop. 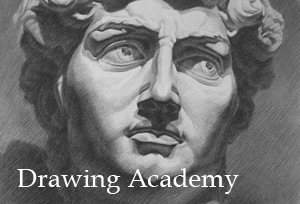 There are three categories of paints: “Student“, “Artist” and “Professional“. They vary accordingly in quality and price. The more pigment there is in the tube, the more superior the binder is. The less fillers there are (which just reduce the quality and the price), the better quality the Paint will be. Which category and brand should you buy? If you are at the beginning of your painting career we suggest you go for “Artist” quality paint. There isn’t much difference between “Artist” and “Professional” qualities; you just need to accumulate technical skills before you switch to “Professional” paints. 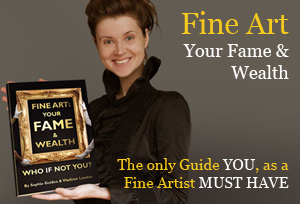 You need to get experience – you need to produce quite a decent amount of artworks. You will experience evolution – the works which you will fancy in the beginning, you may discard later after you progress in your learning process. By the way, my advice is to keep all of your works just so you can see how you’ve progressed when you compare your new works with old ones. Sometimes it may seem like you are standing still without any growth, but you only need to look at your beginning works to realize you are actually improving. Yes, you can have some “Student” quality paints, for example a few earth pigments like Umbers, Siennas , Ochres and White for oil sketching. Or you can just play around with different colors to feel what it is like to paint with oils. With time, you can substitute “Artist” with “Professional” paints. Over time, I have removed almost all “Artist” paints and replaced them with “Professional” quality paints. However, I still do sketches with both “Student” and “Artist” paints. Current price comparison of Yellow Ochre oil paint between brands is as follows. 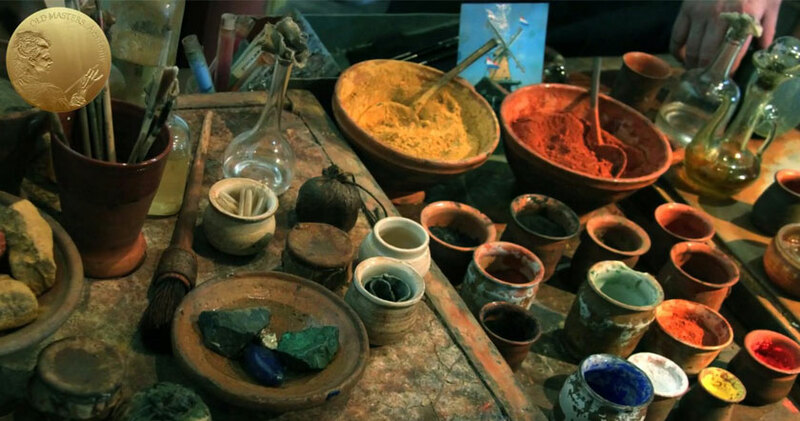 According to the calculation based on the most popular Yellow Ochre pigment – the most expensive from this list is Michael Harding Artists’ Oil Colors. If we take Michael Harding Ochre as 100%, the Old Holland Classic costs 97% from its price, and so on. As you see, budget Georgian Ochre costs just 31% from “Professional” paints. You have to bear in mind that other paints may differ in price in comparison to brands, but the general difference in prices is as shown in the table. Well, where should you buy your paint? Check your local supply shop or purchase Online. All materials we listed here can be purchased on the Internet. What about Water Miscible Oils? 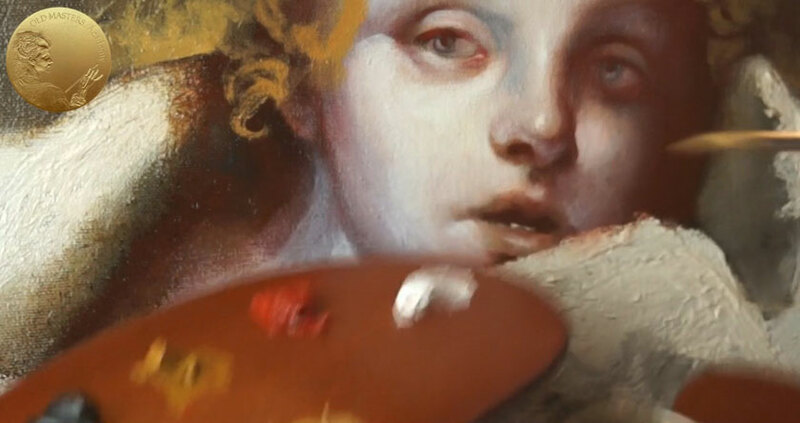 I have never tried to paint with Water Miscible Oils, but based on the comments my colleagues say about the subject, I understand that they are very similar to standard oil colors and it is possible to glaze with them, which is good news for those who want to paint using the Old Masters techniques. Water miscible oils can even be mixed with usual oil colors and mediums. However, in this case the mixture can’t be thinned with water. Drying time is similar to usual oil paints. There also are Water miscible mediums and Linseed Oils. So, it is a very good alternative to Oil Paints. 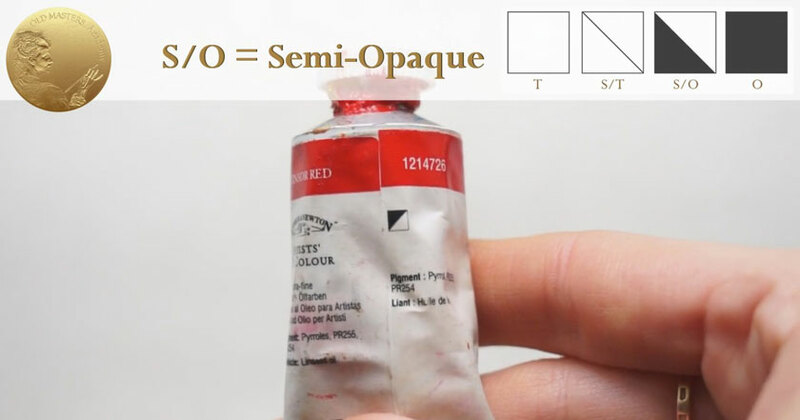 Oil Paints range from a very transparent Color to completely Opaque. We can check the tube to find out the degree of opacity or transparency of the color. It is shown in the form of a code which is comprised of small squares. The Permanence of the Oil Color is something we should take notice of before choosing Colors for our Palette. You need to educate yourself on how to read labels and choose oil colors which will not deteriorate and will look virtually the same in decades to come. The Permanence of a Color indicates the length of time a pigment keeps its original color. Our Colors must have good Light-fastness and not lose color when exposed to daylight. Also, they must not react chemically with other materials used during painting. If there is no permanence label on the tube, you should refer to the manufacturer’s supporting leaflets. I have good news for you – manufacturers of reliable artists’ and professional oil paints’ have removed, from their lines, any risky paint, as they do not want to compromise their reputation. As you see from our Old Masters .Academy ™ Palette – the majority of colors have Extremely Permanent characteristics (AA), just a few of them are Permanent (A); we excluded any non-durable, non-reliable Colors from our Palette.